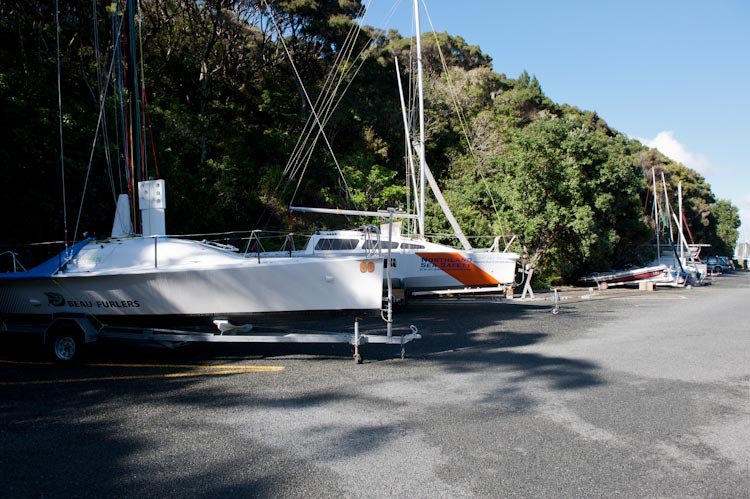 Subject to availability, marina berths may be rented on a casual short term, 1-30 night, basis. 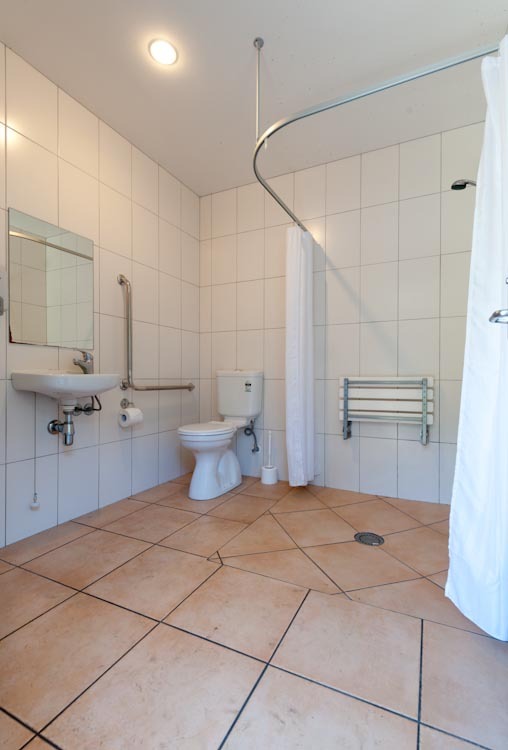 Long term monthly rental can also sometimes be arranged but there is currently a waiting list for long term berths. Power is charged at $2 per night if connecting. 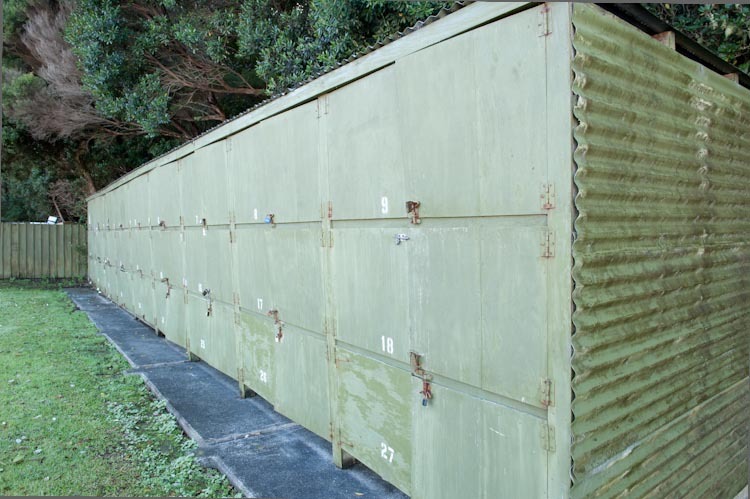 Berths are not available for rent by commercial or charter vessels. Vessels arriving must provide evidence of date when last antifoul was applied. 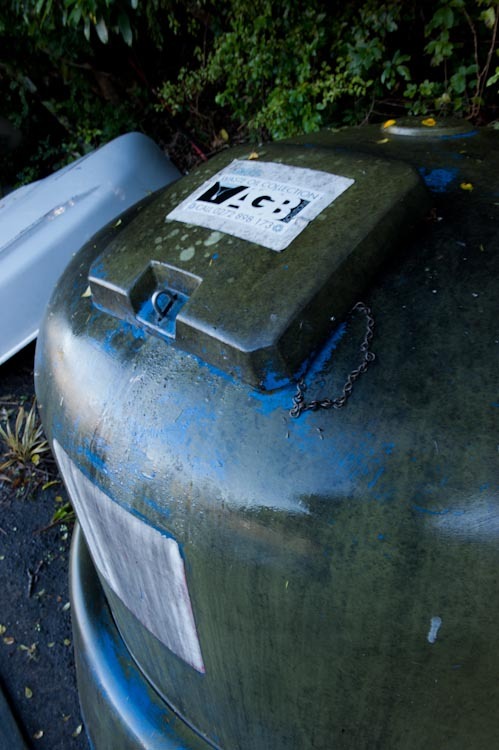 If antifoul older than 6 months evidence of a washdown in the last month is required, no vessels with antifoul older than 12 months will be permitted to enter marina. 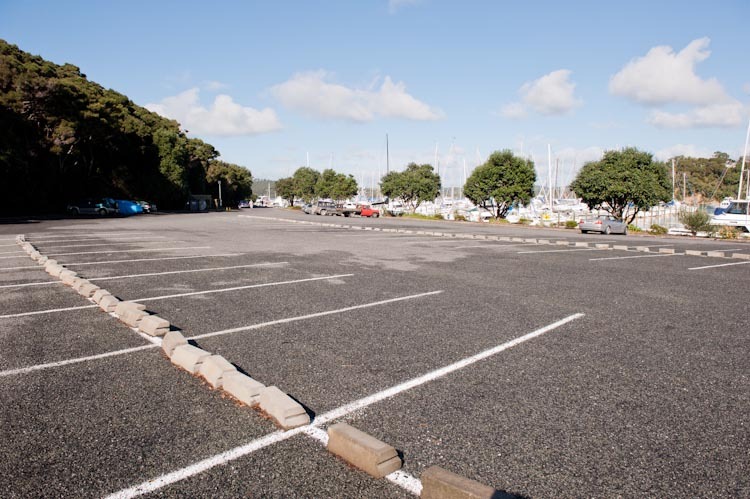 If you are interested in renting a berth for a short period over the summer please contact the office close to the time as berths often become available at very short notice. Access to the marina is via a marked channel. Port markers identify the channel. The access channel has been dredged to a minimum of 2m below mean spring low tide. 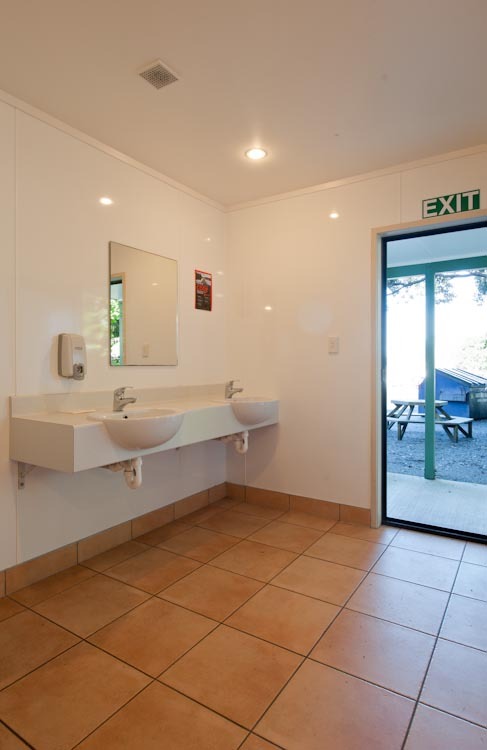 Bathrooms with showers, toilets, hand basins and changing areas are provided. $2 coin required for hot shower. The fuel jetty is located at the western end of the Marina. Self-service diesel purchases using credit or debit card payment can be made 24hours, 7 days a week. Water is available from a $2 coin operated vending machine attached to the fuel terminal shelter, delivery $2 for 20 litres. 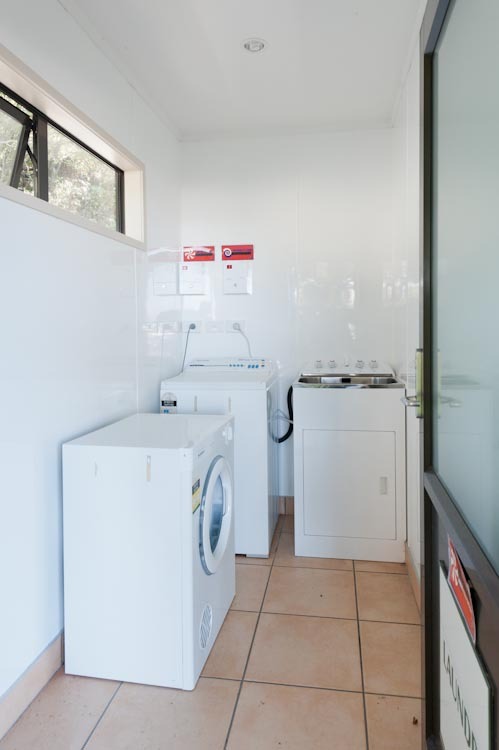 A domestic washing machine is provided. Access is via a key available from the Marina Office during office hours. $2/washing load. The Marina Office is open seven days a week. The Office is located adjacent the road entrance to the Marina, and close to the head of the fuel jetty. 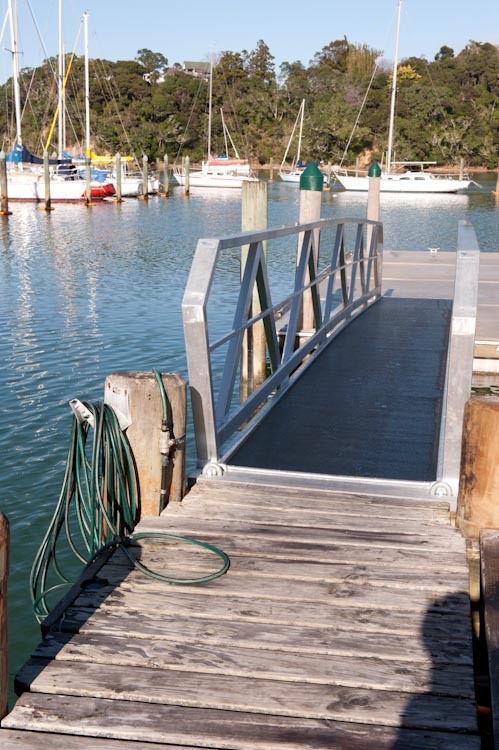 The Kerikeri Cruising Clubhouse is located 2 minutes walk from the Marina. Visitors to the Marina are welcome to visit the Clubhouse restaurant & bar. Check out the opening hours here. 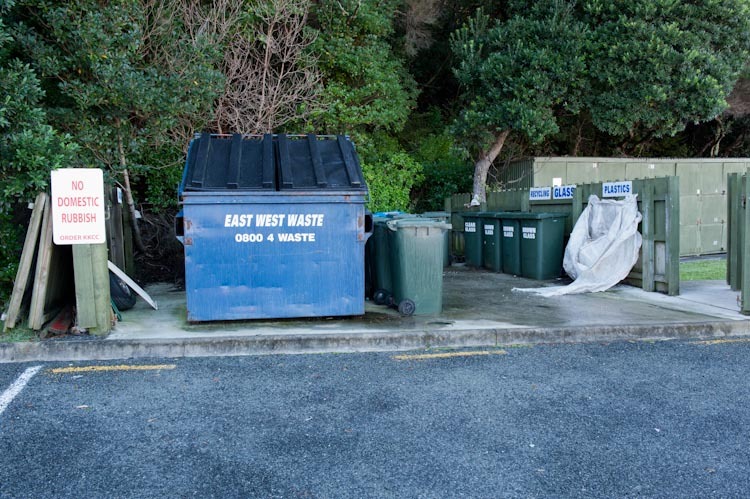 Waste and recycling bins are provided adjacent to the head of C pier. A pump is provided on the fuel jetty for the removal of sewage from vessels. 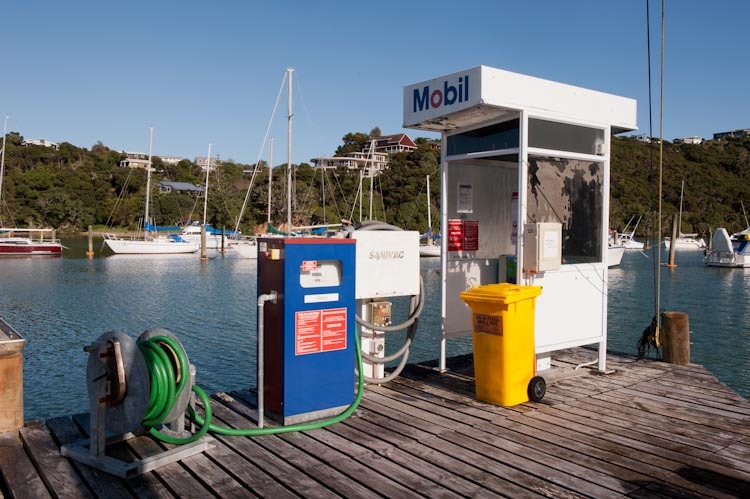 This pump is available for any vessel within the marina to use as required. There is no charge to use this pump. 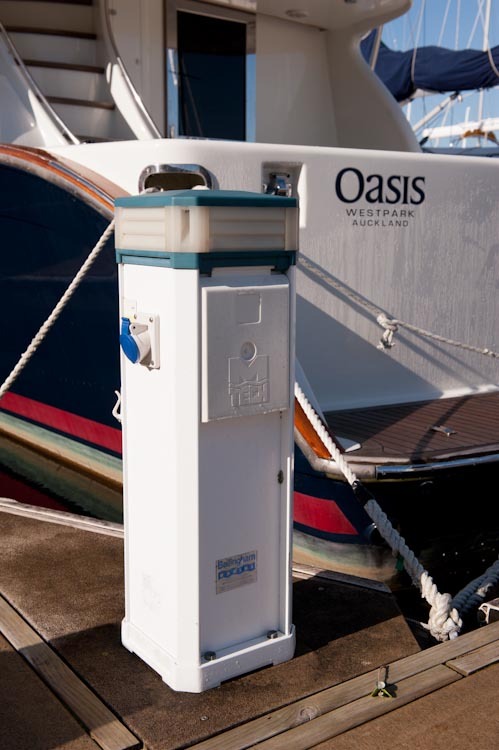 Water is supplied to service modules located on every Marina pier. The water is not potable & should not be used for drinking. 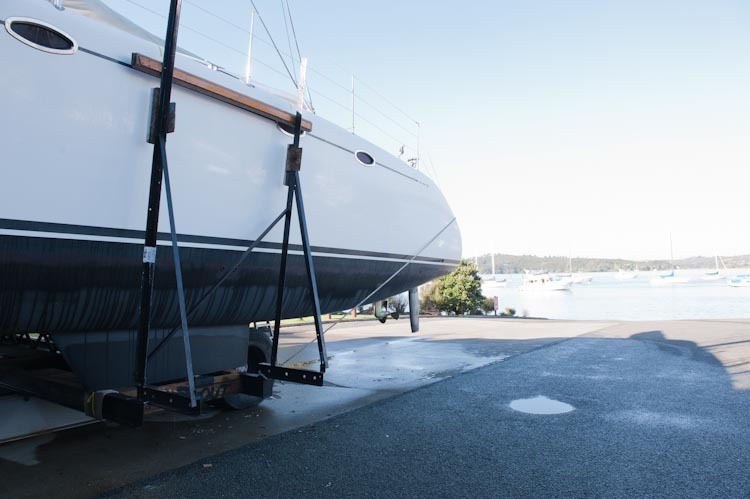 The Marina relies on rain catchment so water conservation is mandatory & boat washing is prohibited during summer. 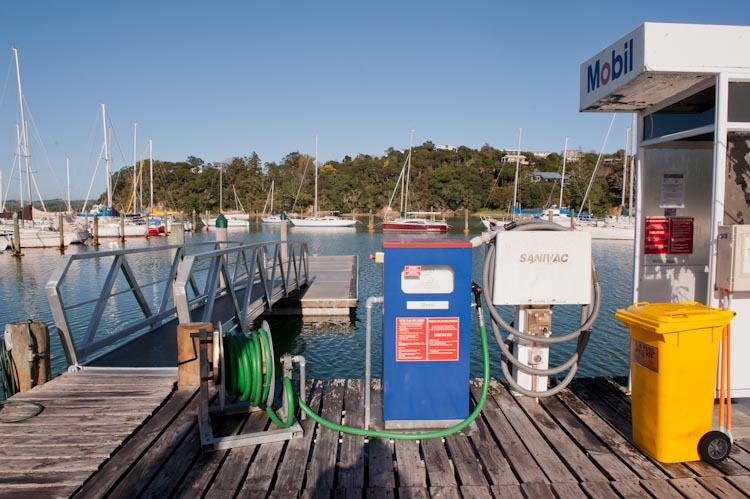 Water is available to the public at the fuel jetty at $10 per 100 litres, $2 coins required. Our Haulout Facility is located next to E Pier. It operates on the high tide between 8am and 5pm Monday to Friday, weather and tide permitting. 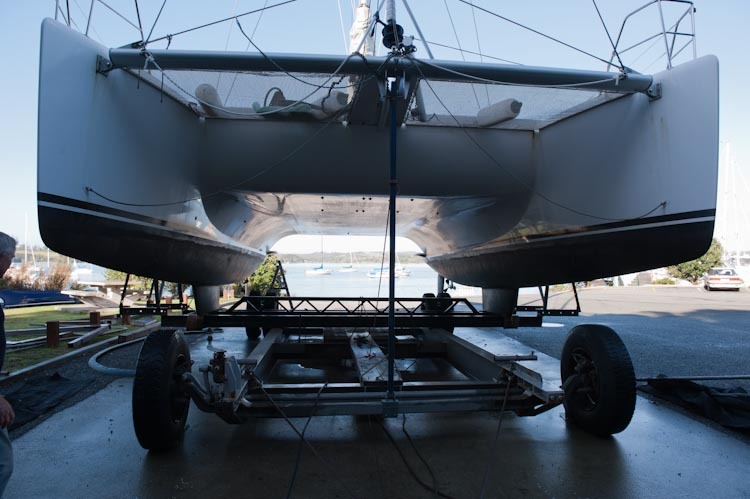 The Haulout haulout facility is for wash down, inspection, hand wet sanding, hand application of anti foul, and basic maintenance. The cost is $120 per haulout for same day (out and back in on the same tide), and $180 for overnight. Non Club Members will incur a $180 fee on top of this. There is a strictly 24 hour maximum time on the haulout. If you are interested in a haul out or have any questions contact the Marina Office 09 407 9434 to put your name down on the Haul Out list. 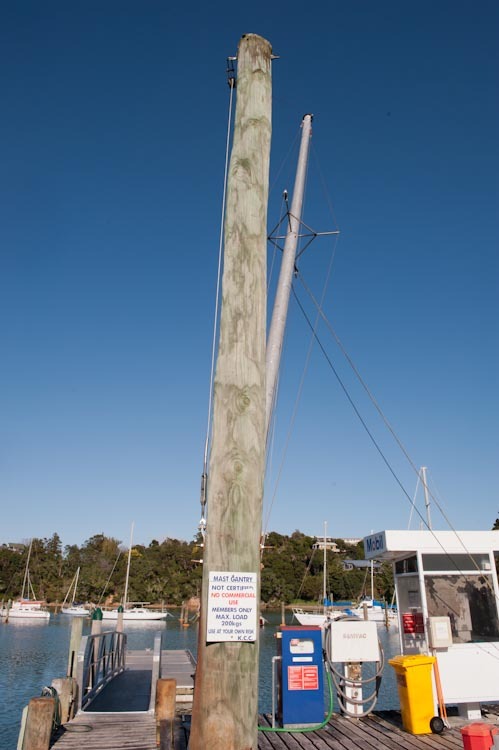 Copyright © 2019 Kerikeri Cruising Club. All Rights Reserved. Web|Wright.